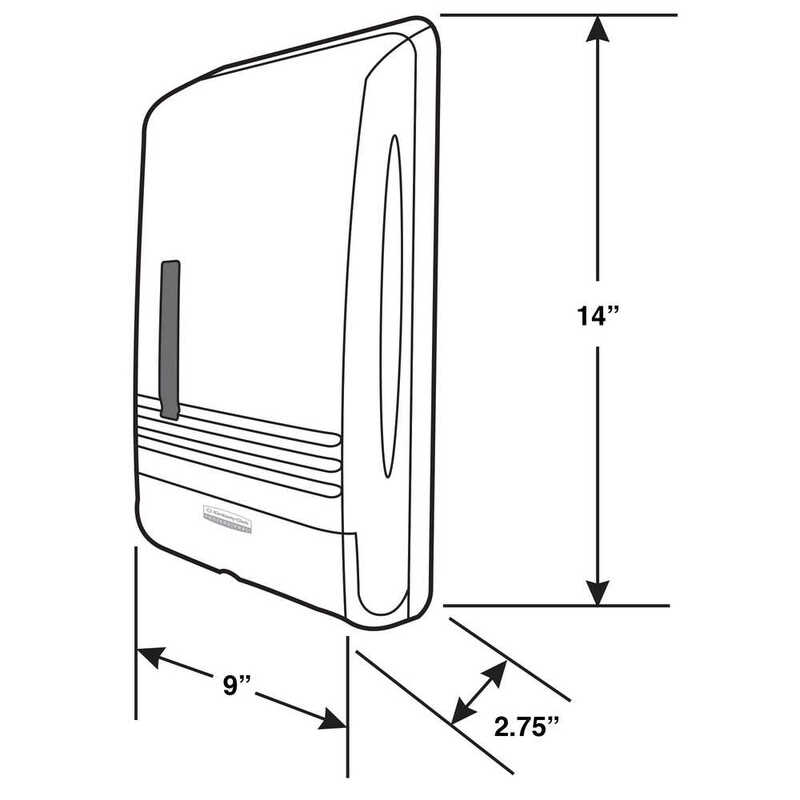 9.0" x 14.38" x 2.88"
When you have a small space, there's no need to sacrifice convenience and hygiene. 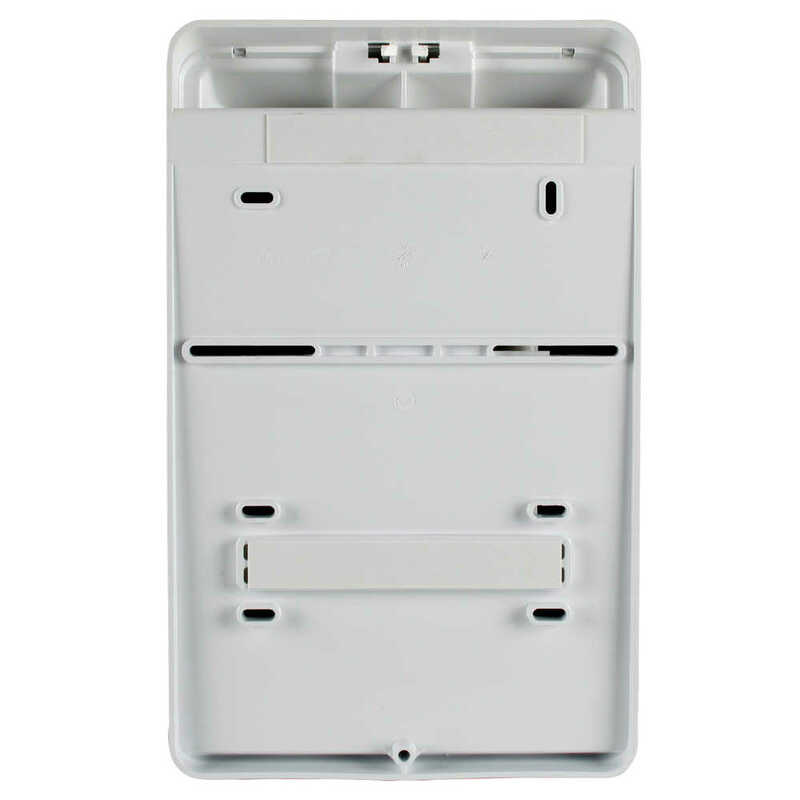 With the SlimFold Paper Towel Dispenser, you can install it in tight spaces, were typical paper towel dispensers are just too big. 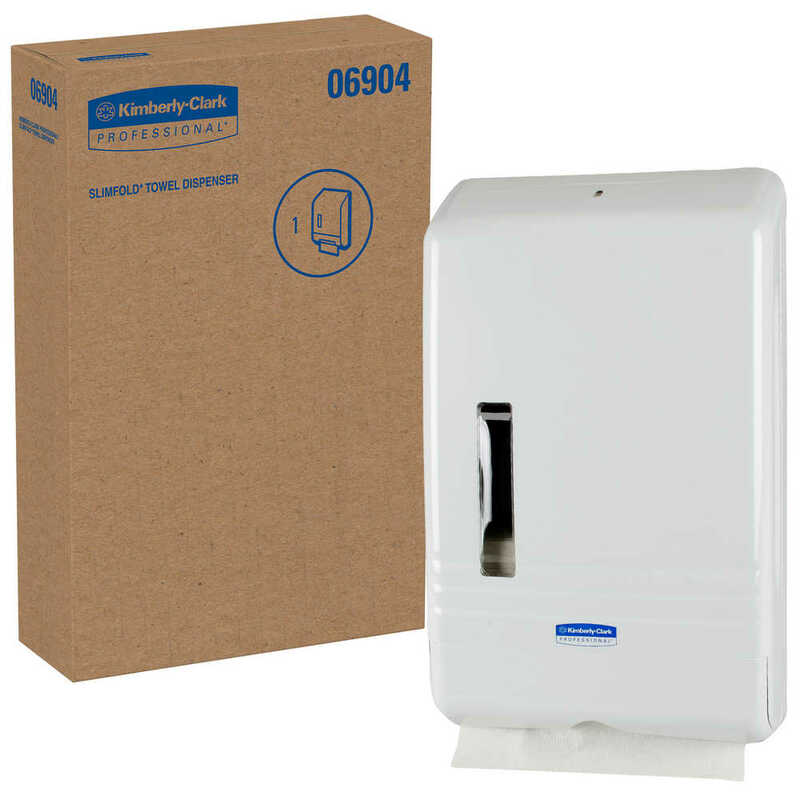 Nurses' stations, tiny classroom sinks and small break room walls are a fit for this compact dispenser. However, don't let the small size fool you: each compatible Kleenex or Scott Brand towel is the same size as a regular folded towel (cleverly folded to fit). 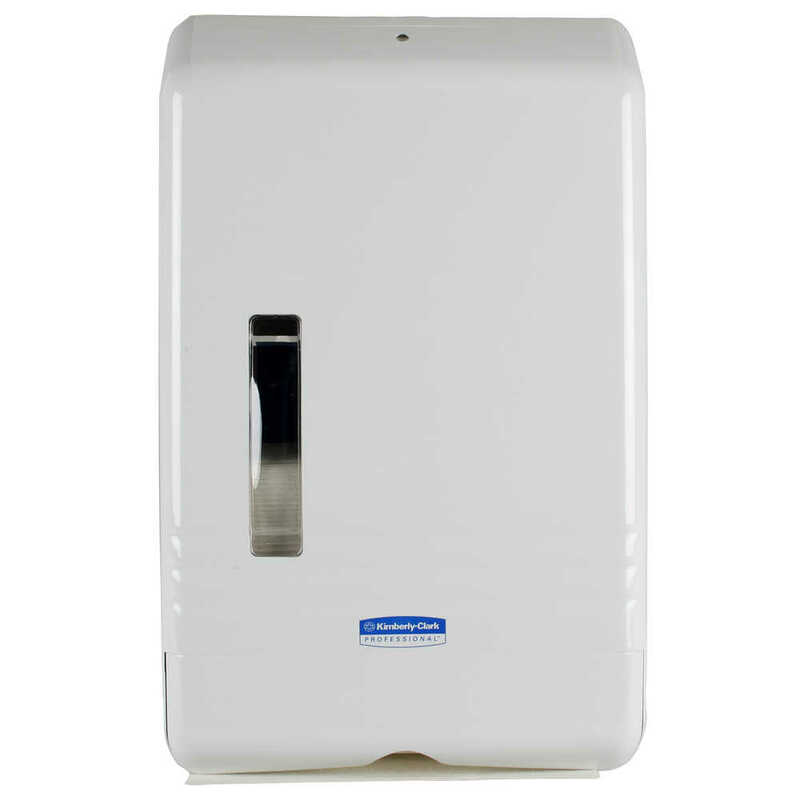 This innovative dispenser holds 225 folded towels, so you'll need to refill it less often (the clear vertical window lets you see when you're running low) and is designed for one-at-a-time dispensing, which reduces waste. 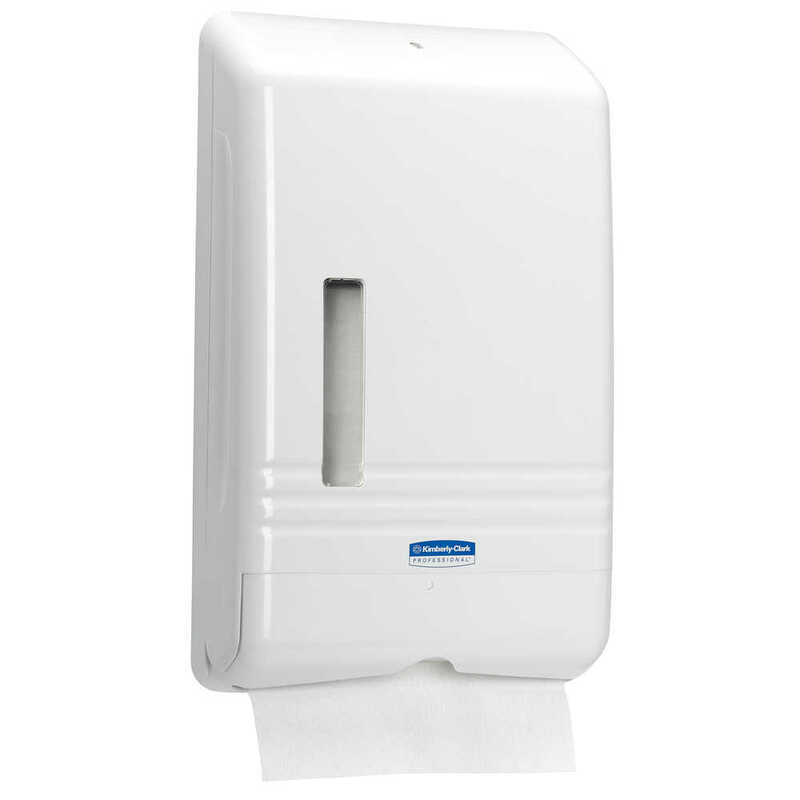 Sink visitors will only touch the towel they use, providing a hygienic hand drying experience.